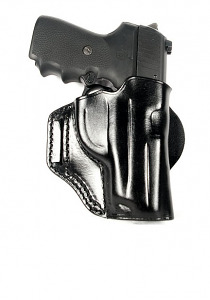 The Ritchie Leather 1911 Vertical Speed Scabbard is designed to pull tight to your body for excellent concealed carry. Can also be used a cross draw. Straight up vertical draw. Fits full size 5" 1911 pistols. Right Hand.